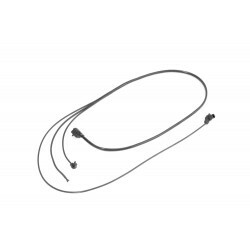 The engine wiring harness offered here is the engine harness with part number A1405400732. It fits Mercedes R129 SL320, SL280 as well as W140 300SE 3,2 & S320 with M104 engine. If you are not able to send your old harness in advance you have to pick the option 'with core charge'. Core charge is refunded as soon as your old harness arrives at our facility. Sold without the pictured plastic frame.